Bishop Neophtos To Take Part in Deanery Mission - Feb 28! View Photo Gallery of 2018 Deanery Camp Week! Welcome to The New Jersey - New York City Deanery! 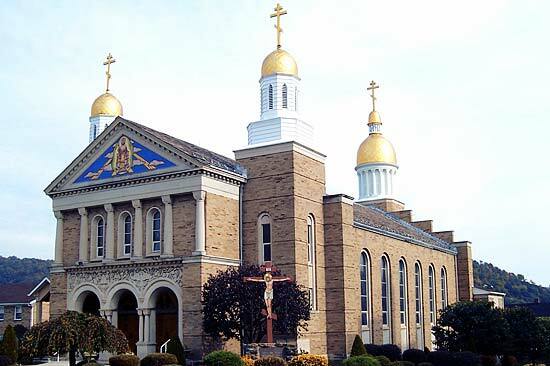 Welcome to Website of the New Jersey - New York City Deanery of the American Carpatho-Russian Orthodox Diocese of North America. whose presiding bishop is His Grace, Bishop Gregory of Nyssa. The American Carpatho-Russian Orthodox Diocese is an autonomous diocese under the spiritual protection of the Ecumenical Patriarchate of Constantinople of which His All-Holiness, Ecumenical Patriarch Bartholomew I is the Primate. Through this website, we are pleased to be able to introduce you to the liturgical life, philanthropic works, and fellowship activities within our Deanery and provide you with the most up to date news and information regarding upcoming Events. With the Blessing of His Grace, Bishop Gregory, Bishop Neophtos of Nitria will be the honored guest at the New Jersey/New York City Deanery Lenten Mission at Saint John the Baptist Church in Rahway on Wednesday, February 28, 2018. Church will be open at 5pm. Confessions will take place from 5:30-6:30pm. The Pre-Sanctified Liturgy will follow at 6:30pm. The Schedule of Deanery Mission services for the New Jersey and New York City has just been posted.